Graded GOOD 2 (MK) by PSA. 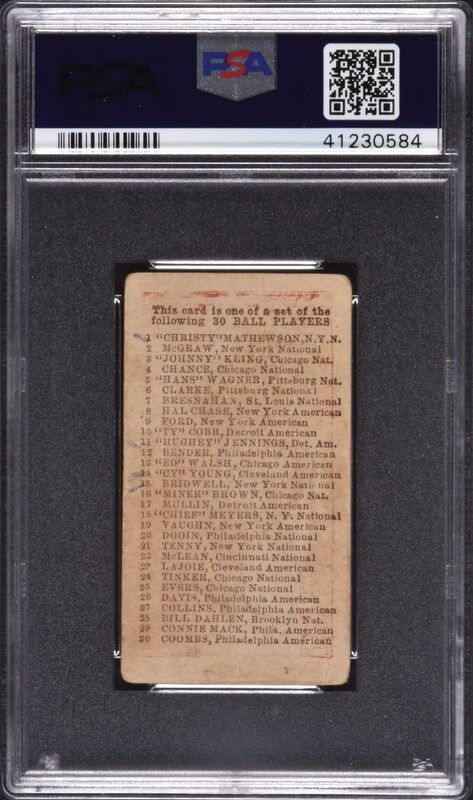 Presented is an E98 "Set of 30" candy card featuring Hall of Famer Christy Mathewson, one of the key cards from this popular 1910-era issue. The manufacturer of E98 is unknown. Cards from this set may be easily confused with other caramel-card sets of the era (E93 and E94 specifically); this is an entirely different set even though it uses many of the same subjects and poses. Despite its modest assigned grade due to scattered creasing and edge wear, this is an attractive card, with a deep red background, flawless registration, and even wear to the four corners. The back features the checklist for the set in crisp, bold brown print. A few ink marks on the reverse account for the "MK" qualifier. Caramel cards in general are much rarer than tobacco cards of the era. 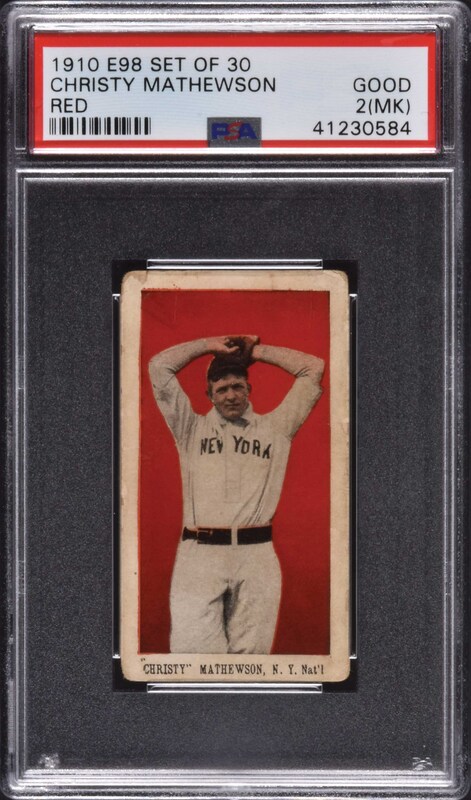 This is a superb and very attractive example of the legendary Christy Mathewson from this early 20th-century candy issue. Reserve $300. Estimate $500+.